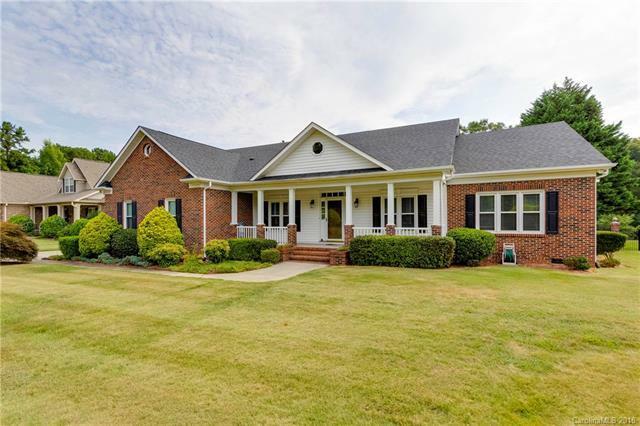 13709 Jonathans Ridge Road, Mint Hill, NC 28227 (#3416426) :: Robert Greene Real Estate, Inc. Wonderful custom built brick ranch ready for new owners. Split bedroom plan with formal areas. Large kitchen with Granite countertops opens to sunroom. Enjoy your morning coffee on the screened in porch or rocking chair front porch. Plenty of room for your king size bed in this master suite with luxury master bath. Side load garage adds to the curb appeal of this home. Over half acre lot!! Recent updates include HVAC, roof and garage door.